Before the advent of the personal computer, summer days were spent at Graham Park, Skelly School, or some other ball diamond. Those were days when baseball was undisputed as Amercia’s favorite game. I enjoyed the games of “work up,” homerun derby, or whatever as long as it had a bat and a ball. The many years I spent coaching my son through his little league years were time consuming but very enjoyable. Over the years I’ve talked to some of the better hitters about technique. Almost without fail, they have said the secret to getting consistent hits is vision: You have to see the ball. 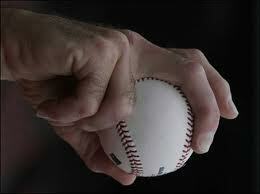 Seeing the ball means focusing on the seams of the ball and recognizing the spin. Pitches can be identified by recognizing the rotation. To help explain this, you can see a graph at this link. One way to learn how to identify the curve ball is to stand behind a batting cage and watch a pitcher throw fastballs. This may sound strange, but identifying what it isn’t helps you learn to identify what it is. This is the technique Paul used when he was warning the Christians at Galatia. They had been given the standard of truth, and Paul said they were to measure the “different” gospel against the pure doctrine. They were to study and recognize the fastball theology they had been taught, so they would not be led astray by the strange spin of a curveball. A comment by Joe Garagiola can serve as a thought to keep you thinking: Nolan Ryan is pitching much better now that he has his curveball straightened out. Was Joe putting a spin on his words or was he just stating a fact?